What makes a classic promotional item? Is it age, the number of uses it’s had, that trusty pen that sits on your desk long after all else has failed (or run out of ink)? It’s different for everybody, but there’s no denying the Yarra Twist Pen is one that ticks all the boxes. 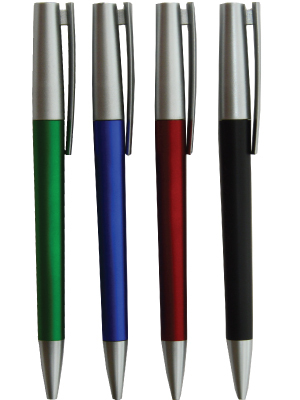 We originally brought this pen into our range many years ago, liking the contrasting trim and sleek barrel look. It’s proven to be immensely popular, perhaps due to its easy hand feel or durability, but either way this pen has been so effective that we introduced it into our stock of pens that we store here in Australia. This lets us print the Yarra Twist very quickly and deliver it to you in a matter of days, not weeks like other items and suppliers. The other benefit to the Yarra Twist is the price – again, thanks to it’s popularity and style, this is an incredibly cost effective option that many of our clients order again and again. We have recently dropped the prices on this great pen, simply because we want everyone to experience the quality feel of the item and come back to us. This is a great product that wont break the bank.